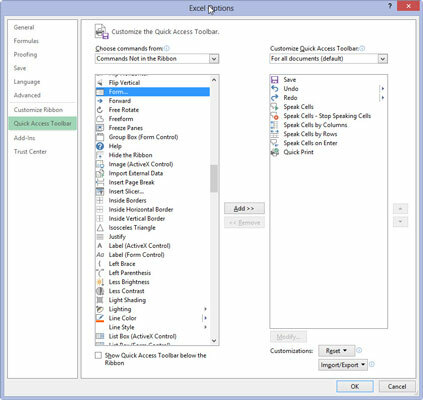 Click the Customize Quick Access Toolbar button at the end of the Quick Access toolbar and then click the More Commands item at the bottom of its drop-down menu. The Form command button you want to add to the Quick Access toolbar is only available when you click the Commands Not in the Ribbon option on the Choose Commands From drop-down list. Click the Commands Not in the Ribbon option near the top of the Choose Commands From drop-down list. This informs the program that it the command is not already in the Ribbon. Click Form in the Choose Commands From list box and then click the Add button. 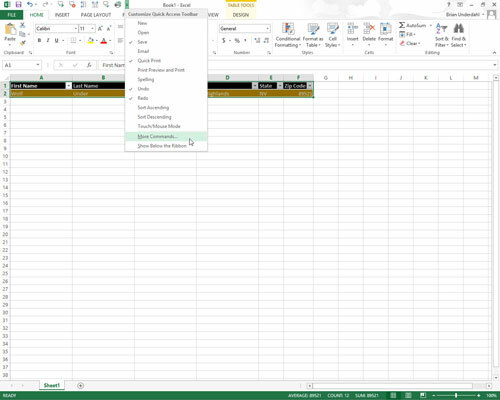 Excel adds the Form button to the very end of the Quick Access toolbar. If you so desire, you can click the Move Up and Move Down buttons to reposition the Form button on this toolbar. 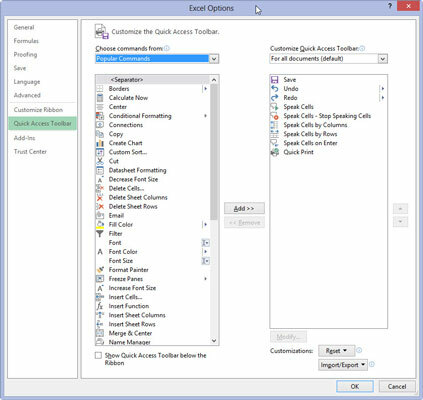 Click OK to close the Excel Options dialog box and return to the worksheet with the data list. 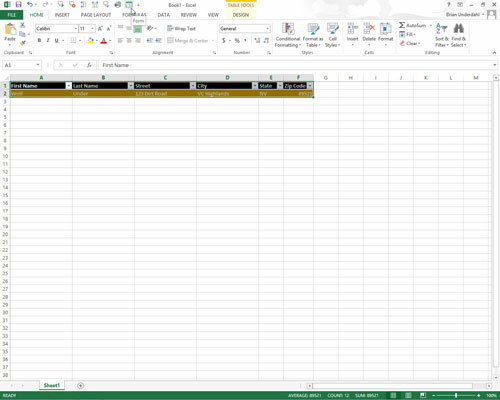 Excel closes the Options dialog box and you can continue working on your worksheet.